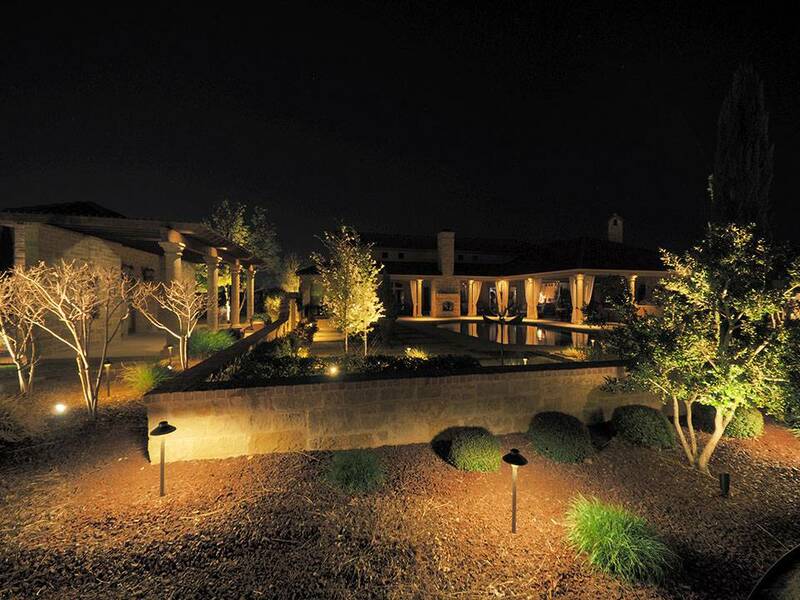 LED technology has revolutionized the architectural and landscape lighting industry. Much development has been done to allow LED bulbs to closely resemble the ‘look’ of traditional incandescent bulbs while offering the advantages of lower energy consumption and smaller transformer loads—which extends the flexibility of how a system can be installed. Many clients who have traditional incandescent systems call Nite Time Decor contractors for an LED conversion—where we come to your property and retrofit your system with LED bulbs. This lowers your electric consumption and gives you the ability to add on to your system without a huge infrastructure expense. Nite Time Decor offers a 7-year warranty on our LED bulbs!